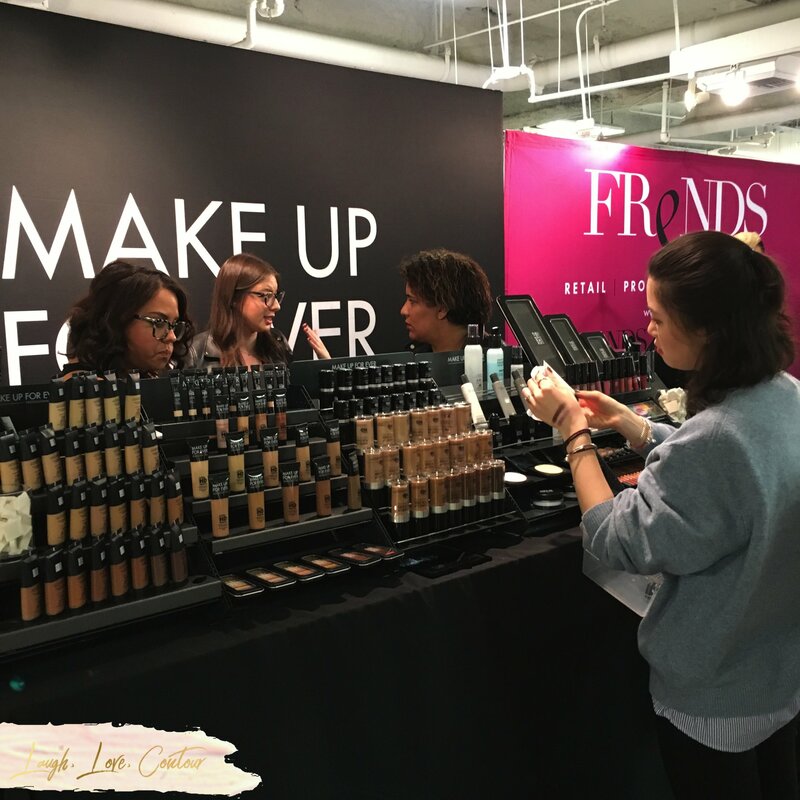 It was a busy and rather event-filled weekend while at The Makeup Show in Los Angeles. 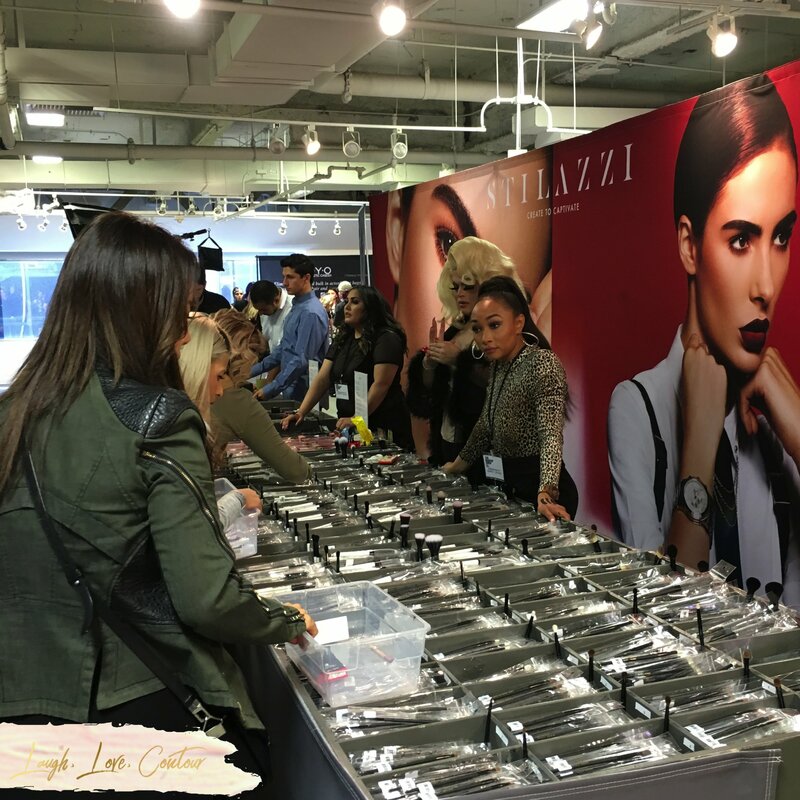 This event is the prime place for professional makeup artists to congregate to network with fellow artists, attend one of many educational workshops, keynotes, or demonstrations, and to pick up new and core makeup items alike for kits. 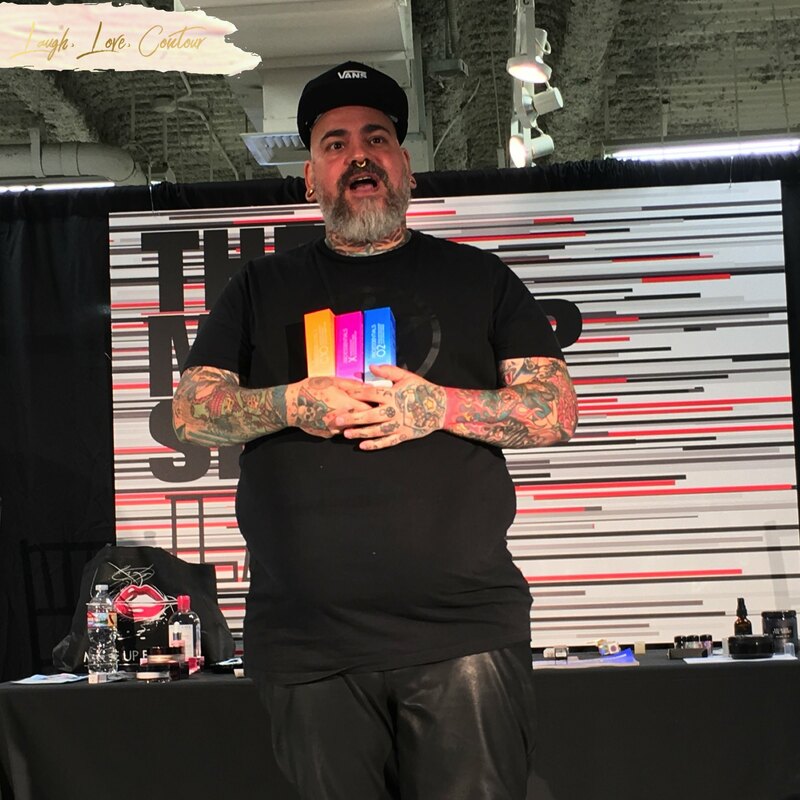 Director of Education and Artistry James Vincent is always the first person I see at the show as he introduces the press to the key features of this year's show. The first three words that come to mind when I think of James is warm, caring, and inspiring: you can really feel how passionate he is about the community. What better place to start with brands than James' own Rebels and Outlaws. 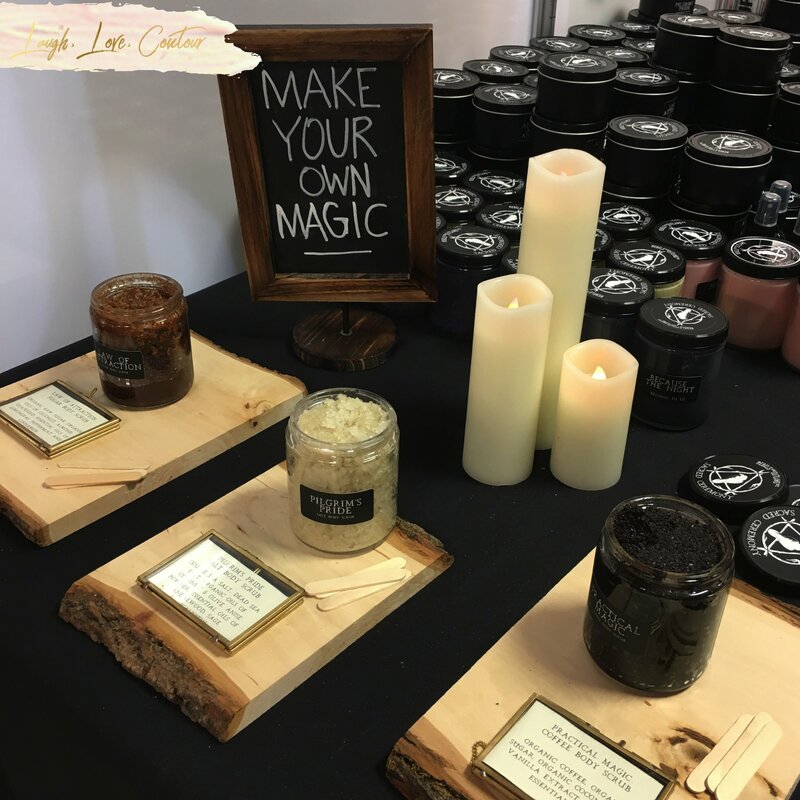 From candles and sprays that clear the air of negative vibes and instead attract all things positive to scrubs that slough off more than just dead skin, this brand is sure to bring makeup artists all the best things possible! This is a small collection of the candle offerings, including the new scent, Because The Night. 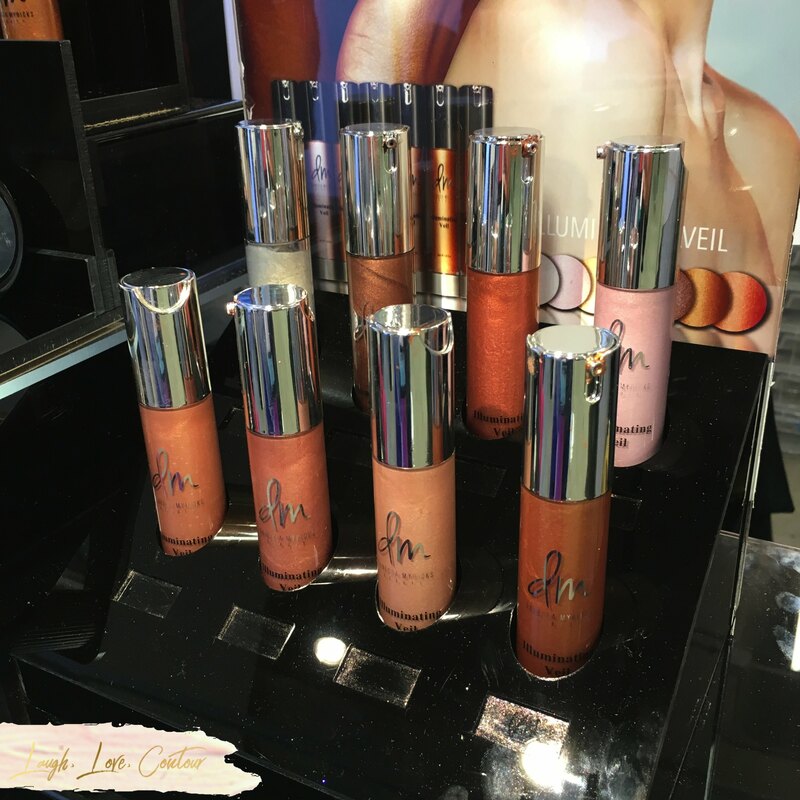 Make Up For Ever was the Diamond Sponsor for the show. Here we have an artist perusing the brand's selections before making her purchase. 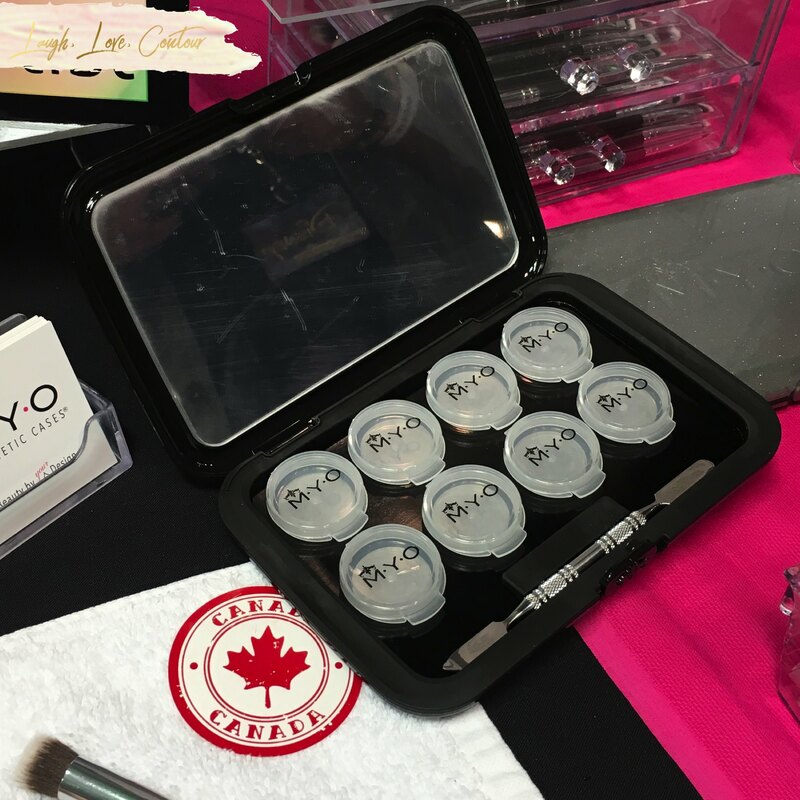 I was really excited when I heard MYO Cosmetics Cases was going to be at the show! 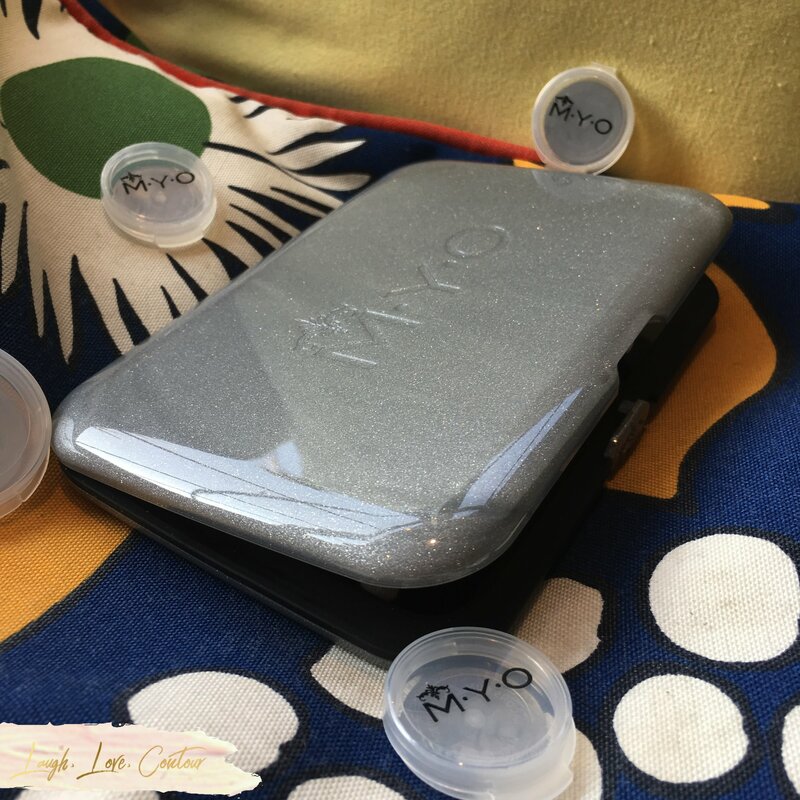 I absolutely love this brand and reviewed the personal version of the MYO case here. The magnetic pods are my favorite part of this product; what an ingenious idea! You can see some of the uses in the above photo. The possibilities truly are endless; the only limit is your imagination! While the MYO is black with a circlet is black, silver, fuchsia, or turquoise, this silver sparkled beauty made an appearance at the show. 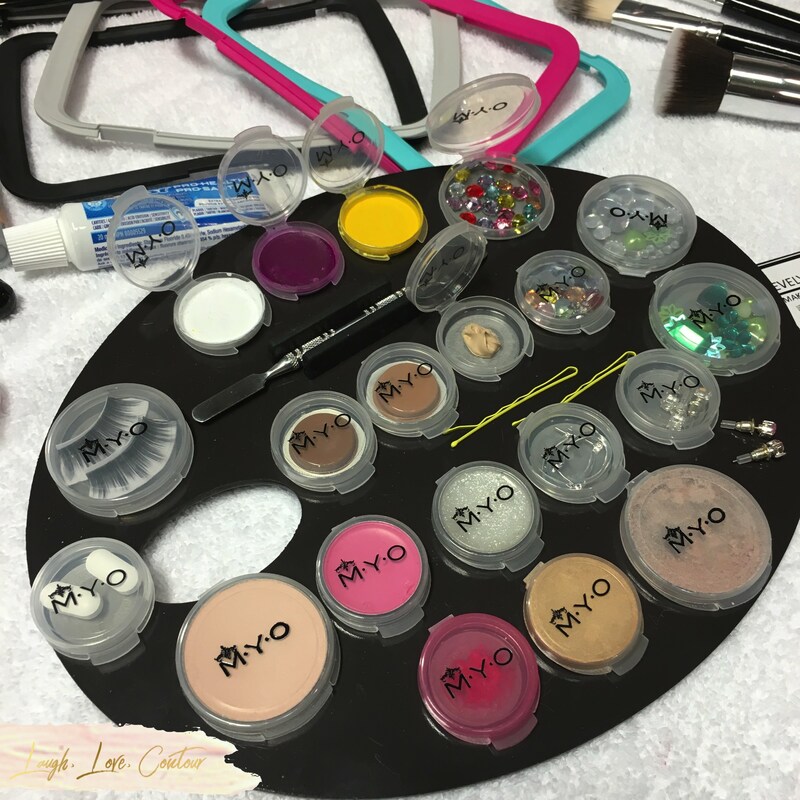 I can't give you all the details on it today, so be sure to follow MYO Cosmetic Cases to catch the news when the time is right! 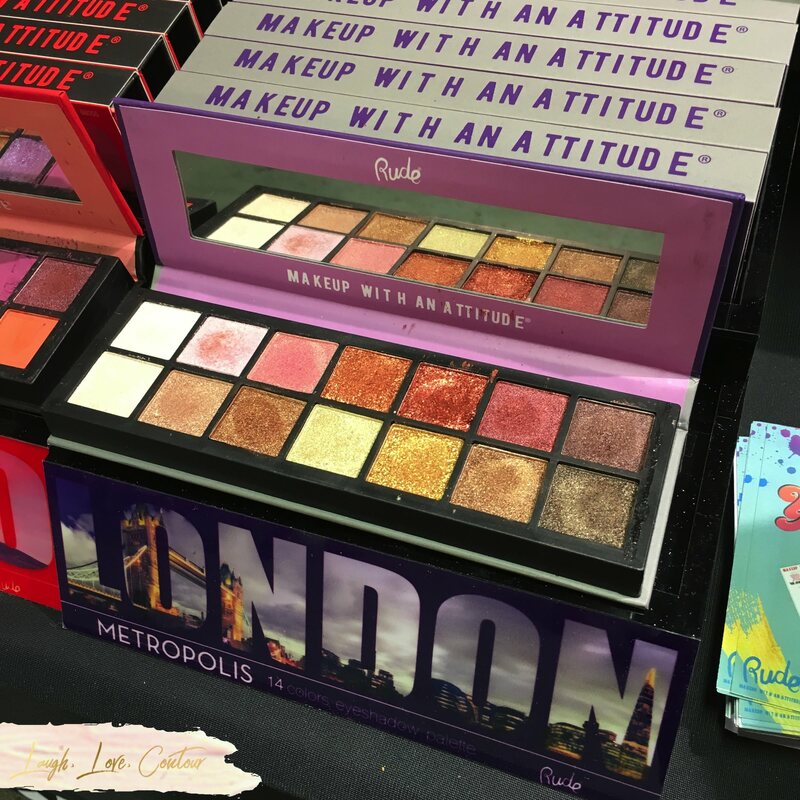 Rude Cosmetics is a fun brand I discovered right around the time they launched a couple years ago, and I was excited to see them make an appearance at the show! They offer quality products at an affordable price. Who knew that being rude could actually pay off?!? 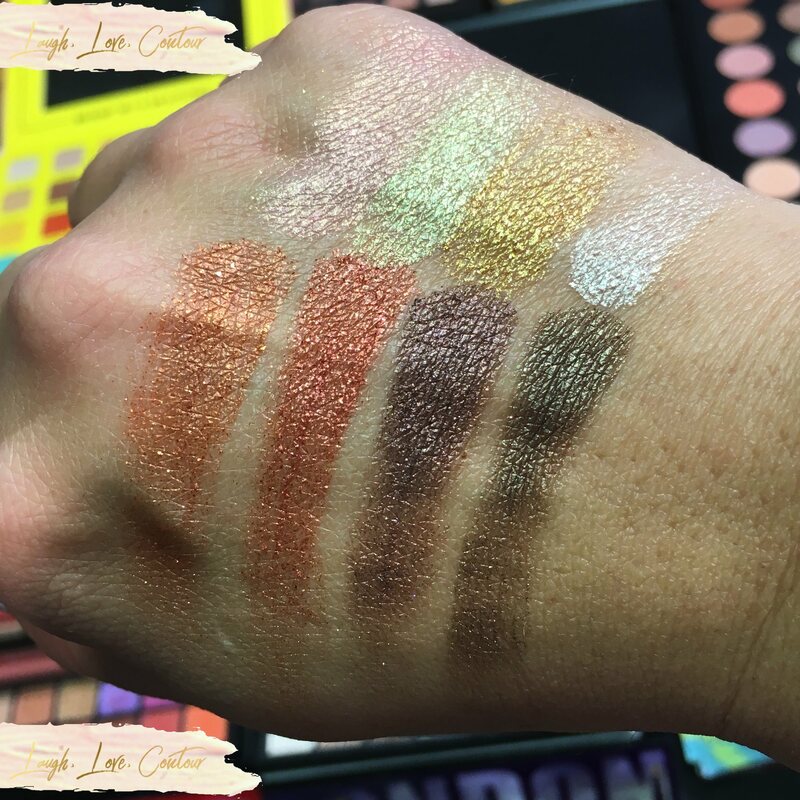 Their eye shadow palettes offer nice pigmentation, and I like that they have options of both larger and smaller palettes. 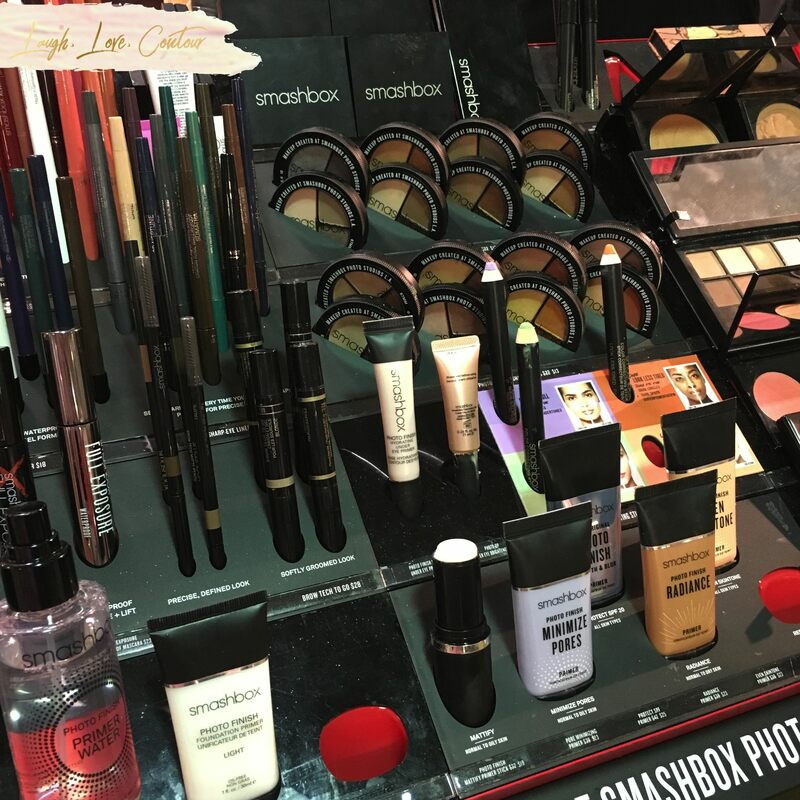 Smashbox will always have a special place in my heart as the fist non-drugstore brand I ever really used. 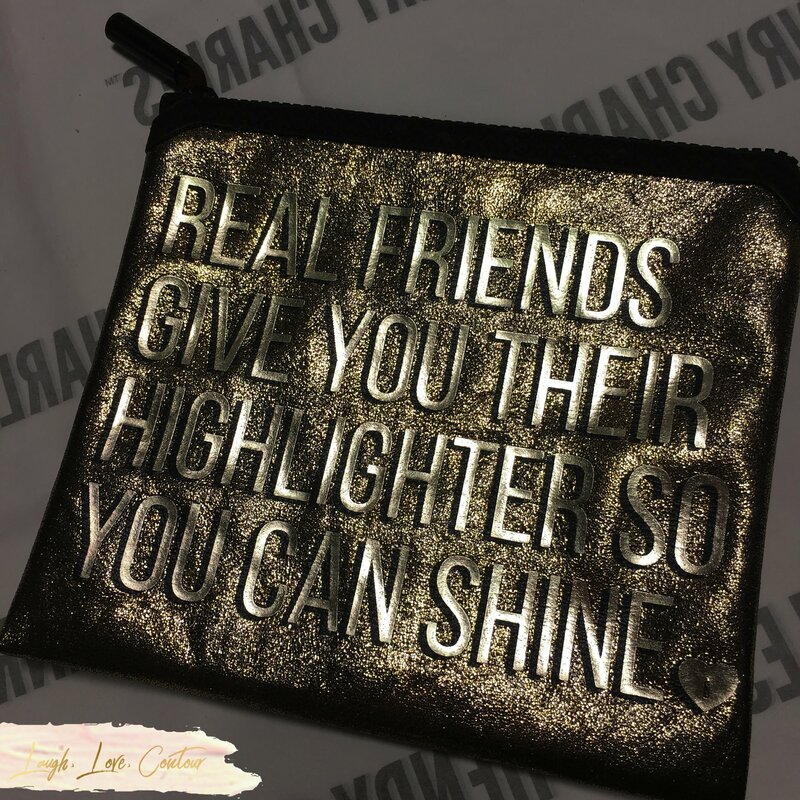 They also sell my beloved The Cali Contour palette which is my makeup workhorse. 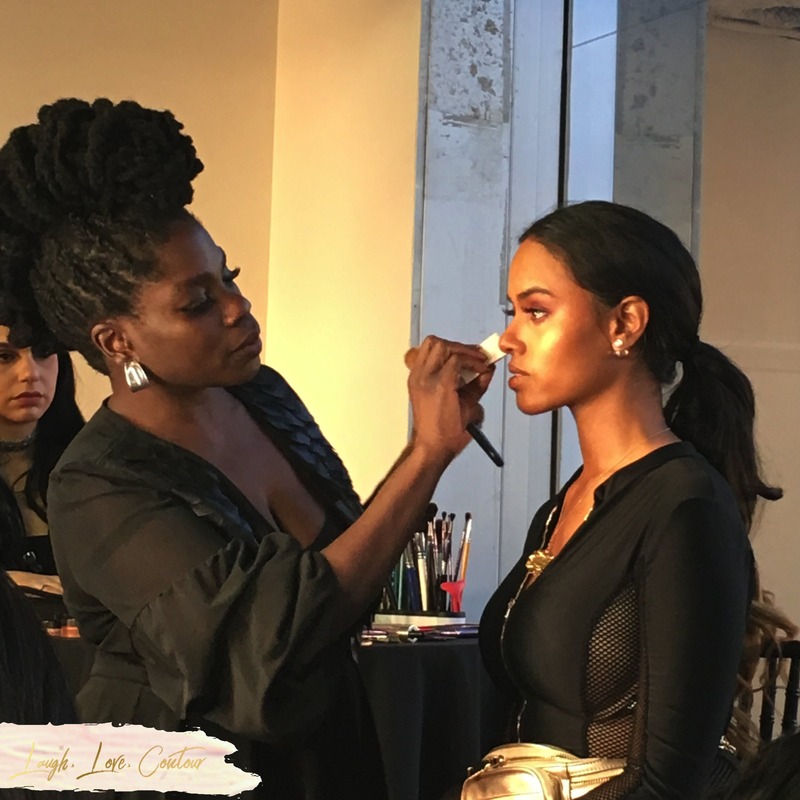 There were three demo stages (in addition to the keynote and seminar stages) at different locations, and the talented Danessa Myricks was spotted at one of them! Her work is incredible. 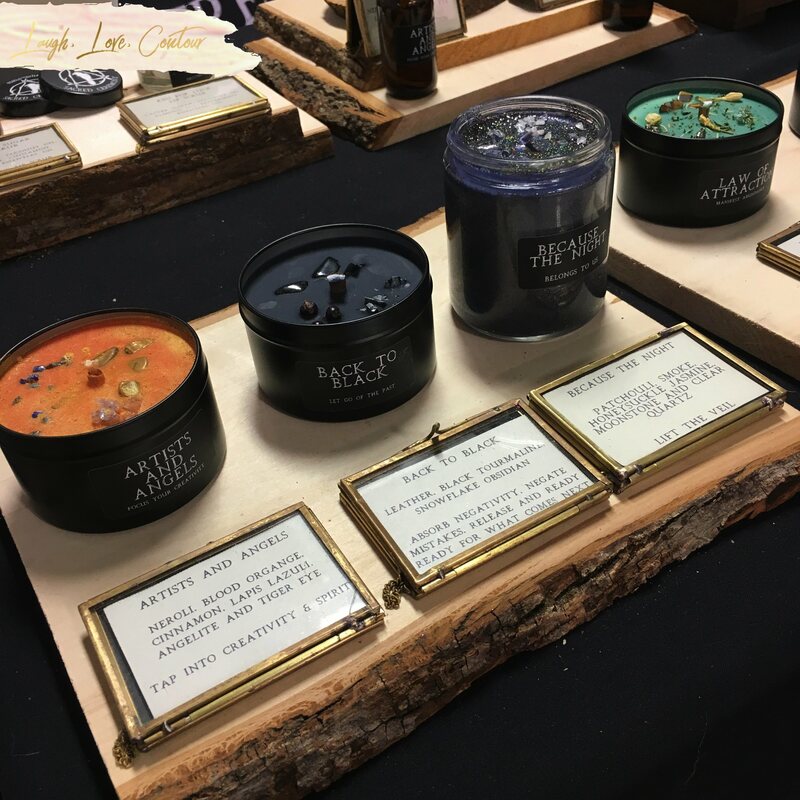 Danessa's beautiful products were on site and could be purchased at the Danessa Myricks Beauty booth. These illuminators are spectacular! 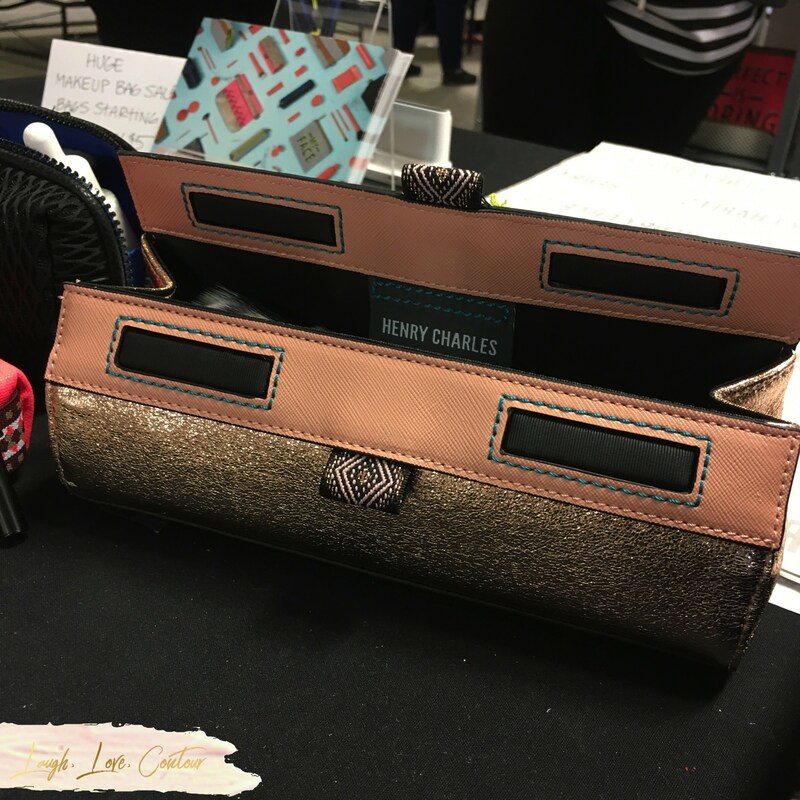 There was also a table available for Henry Charles cosmetics bags. Whether you were in the market for something low key and casual or something a little fancier, you were able to get what you needed. One of my own personal stops was with Frends Beauty Supply to pick up backups of some of my favorite Stilazzi brushes and some makeup items to try out. At the booth was Kiani Love of MakeUpbyKiani. She was so helpful in answering my questions and pinpointing the extra products I picked up. 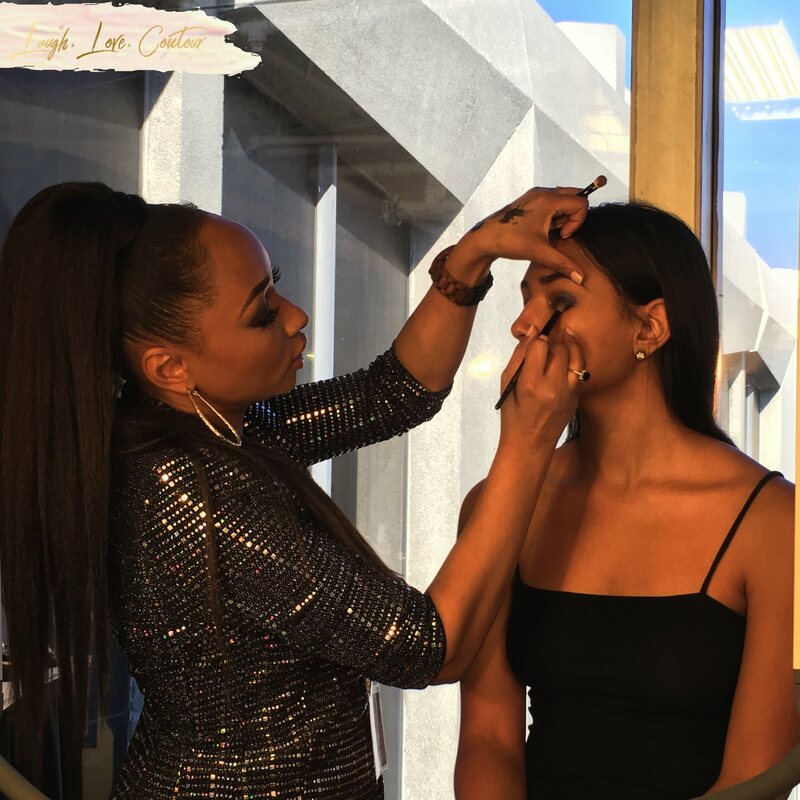 Here is Kiani doing an eyeshadow application demo. Seriously, this show was filled with so many educational opportunities, it was impossible to leave without learning something! 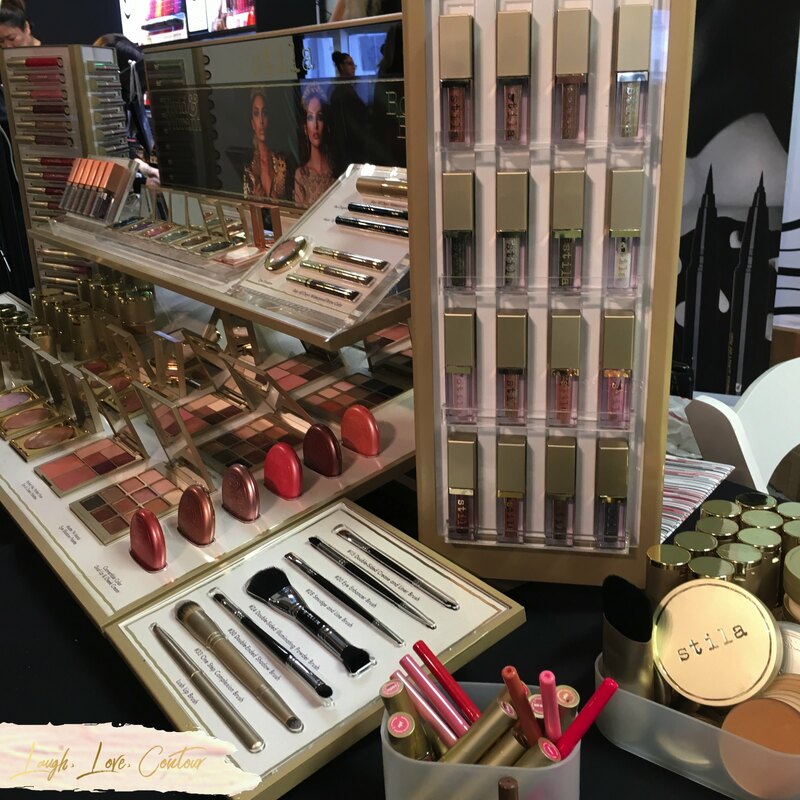 Stila Cosmetics is another brand that I got into when I first stepped away from drugstore only makeup, and it was exciting to see they launched their Pro Program at the show! 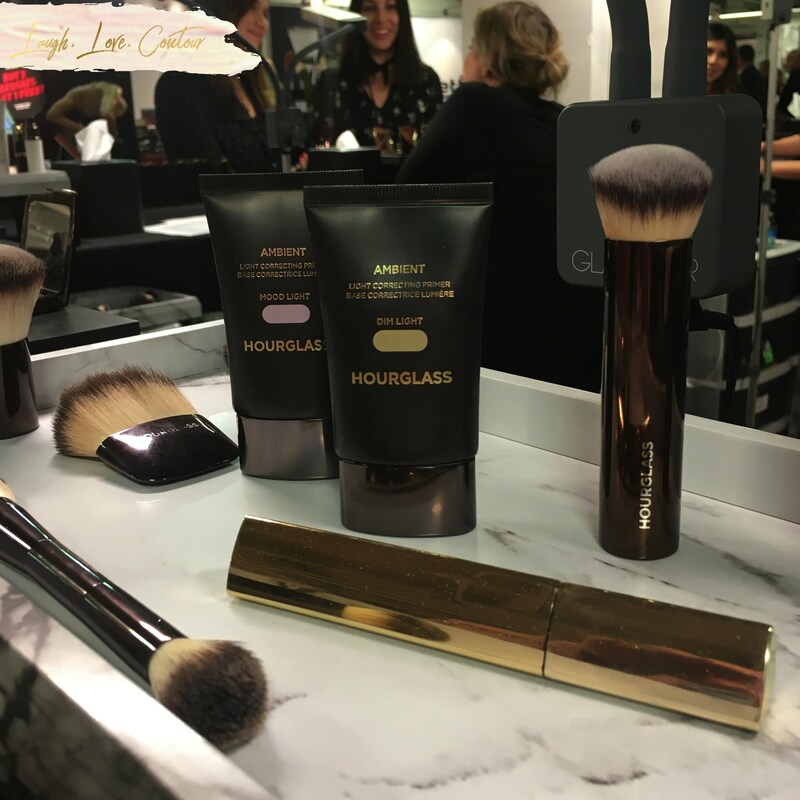 It was exciting to see Hourglass Cosmetics at the show, and I know it was the first stop for many! 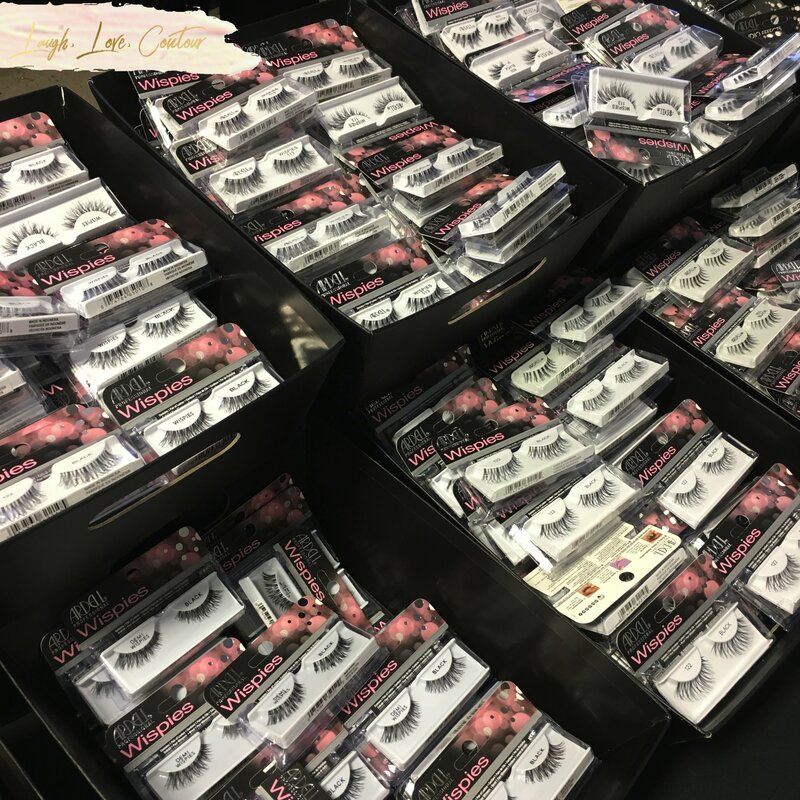 There were lashes galore thanks to Ardell Lashes! They had some great pricing to make this already affordable brand even more so for the artists wanting to share the lash love. 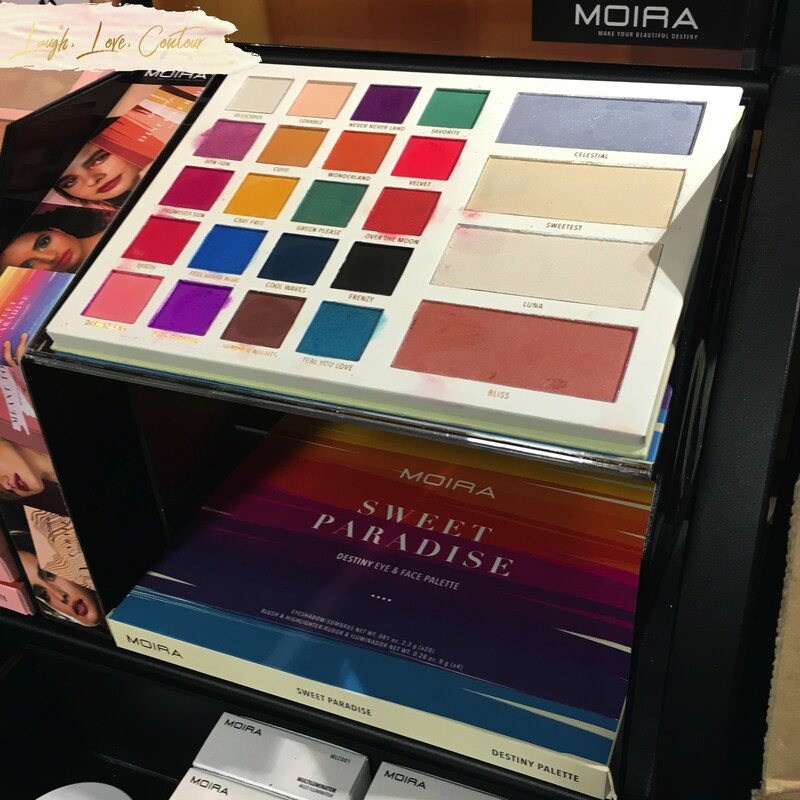 I first encountered Moira Cosmetics while at CPNA this summer, and it was a delight to see the affordable brand at this show. 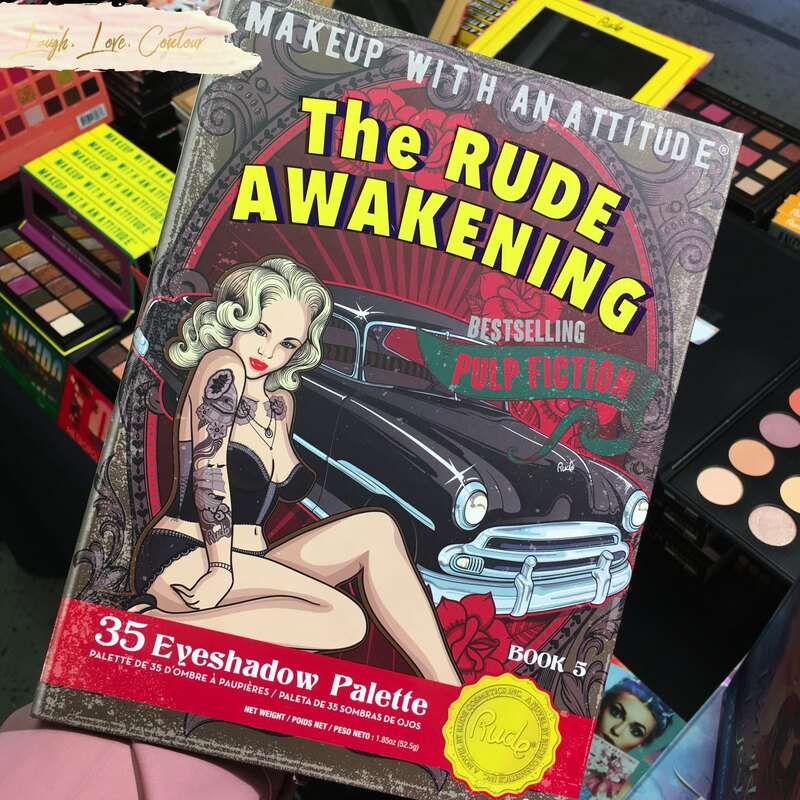 I had actually seen this palette over the summer before it was announced on social media and officially launched, so it was pretty cool to see it get snapped up quickly by many. Jordan Liberty was one of four keynote speakers on Saturday, which his inspirational talk about how he got to where he is today. If you didn't leave his talk feeling at least the slightest bit inspired, you must not have been paying attention! 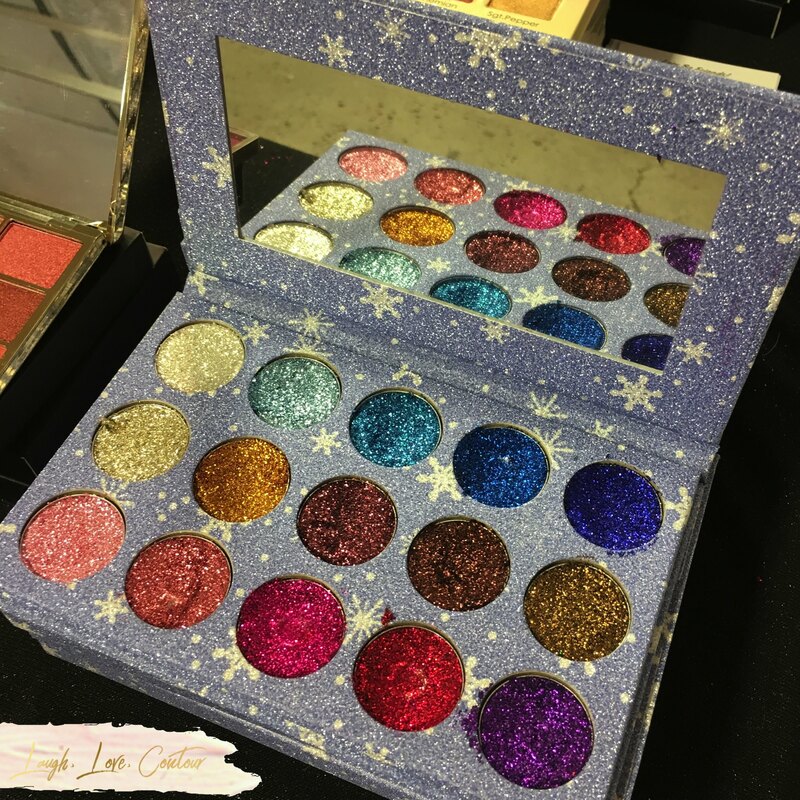 If you were shopping to fit the current glitter trend into your kit, Ruby May Cosmetics was there to deliver! Their Winter Wonderland palette in particular certainly dazzled me! Once it is all said and done, the makeup does eventually have to come off. 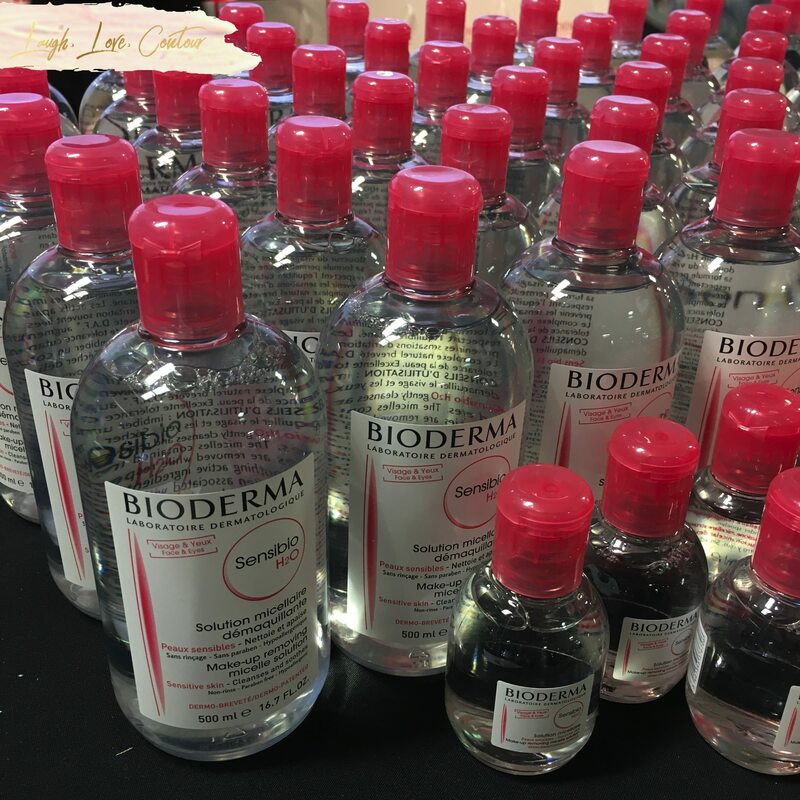 Bioderma was on site to sell some of their products, including my beloved Sensibio micelle solution. My sensitive skin really appreciates how well this is able to remove product from my face without stripping it dry or irritating it. Had I not been doing carry on only for my flight home with liquid restrictions, I would have brought a lot of this home with me! 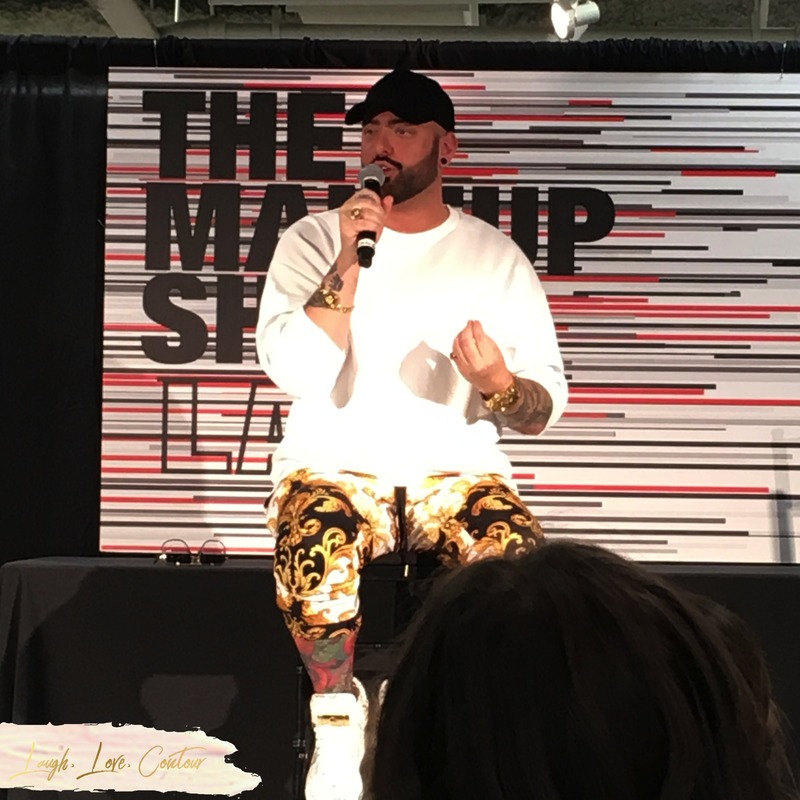 Be sure to tune back in later this week for Part 2 of my time at The Makeup Show in Los Angeles! So many gorgeous things to see! Definitely! I love to surround myself with all the beautiful things (and people!!)! I'd really like to go to a show again. So much to see and explore! Totally! Between the shops and the educational opportunities, there is so much to see and learn! I still haven't been a TMS but I realllly hope you can make the next PolishCon! It's already in my calendar! I've missed a few of them and don't want to miss the next one! They do occasionally pop up in different locations so it may happen one day! It's so great that you could attend. I would have needed an extra suitcase to come home with all I'd want. I usually pack an extra empty bag to bring things home with me! I didn't this show since I couldn't buy much with the upcoming move. Guess I have to make up for it at the next one! Haha! I’m so envious of all the shows you’re able to attend. This looks like another great one! I feel fortunate to have the opportunity to attend! It's always a great experience and one I would recommend if you are ever able to go! This looks so fun! 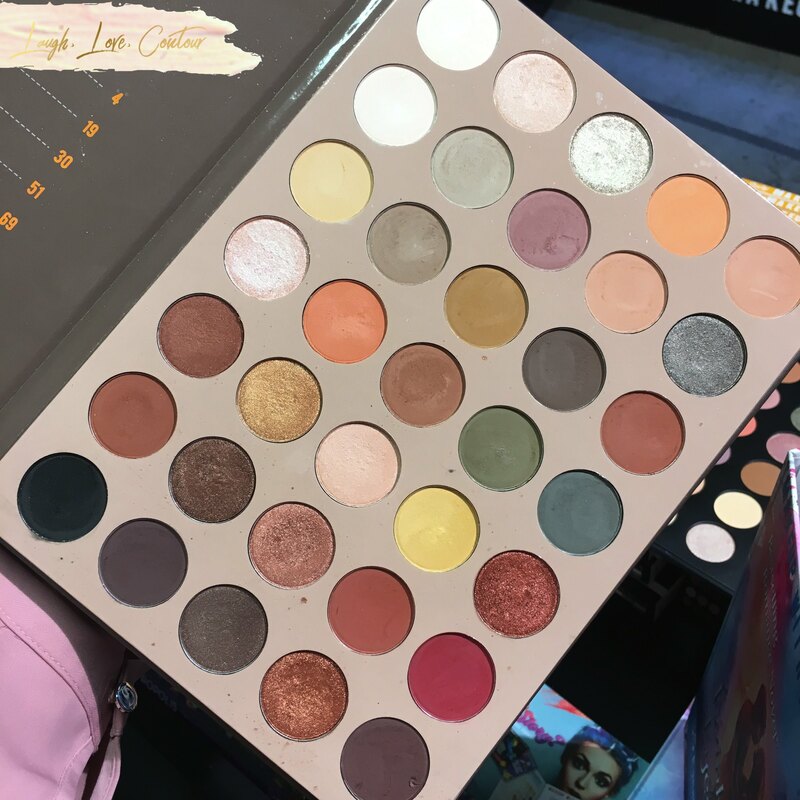 I love the magnetic palette! I LOVE mine so hard! It goes with me all the time and I recommend it constantly! I regret leaving without those glitter palettes. Aren't they gorgeous! I didn't get much with the upcoming move so I'll have to make up for it at the next show! Haha! 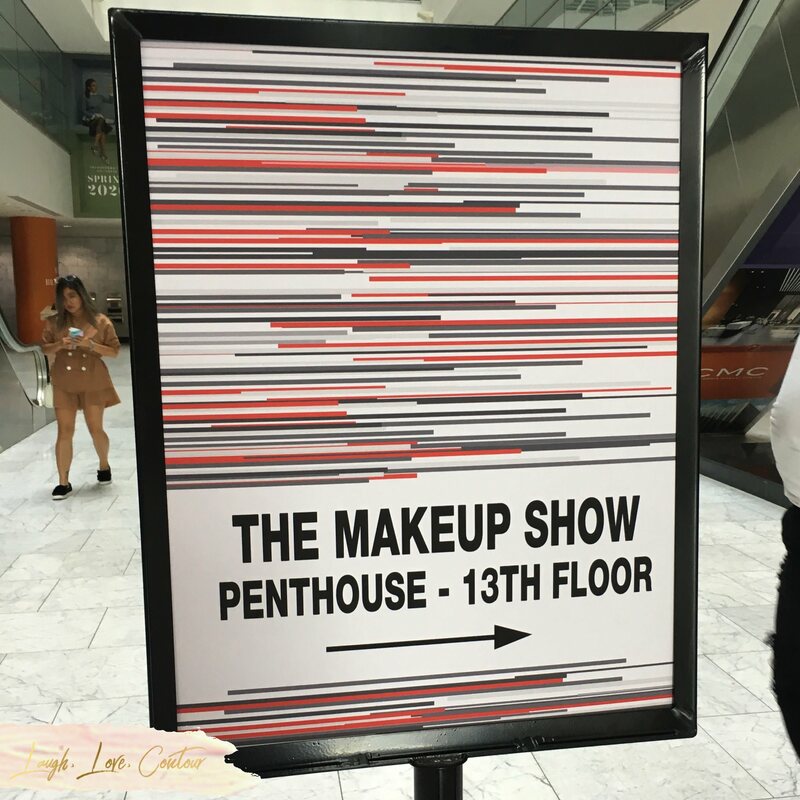 This is the ultimate makeup show for all the makeup junkies! That it is! It's an amazing opportunity to hear tips and tricks from so many great artists in the business! Wow!! I definitely want to check out Rebels & Outlaws and Ruby May!! Great coverage of the show! Please do- they have great things! And thank you! 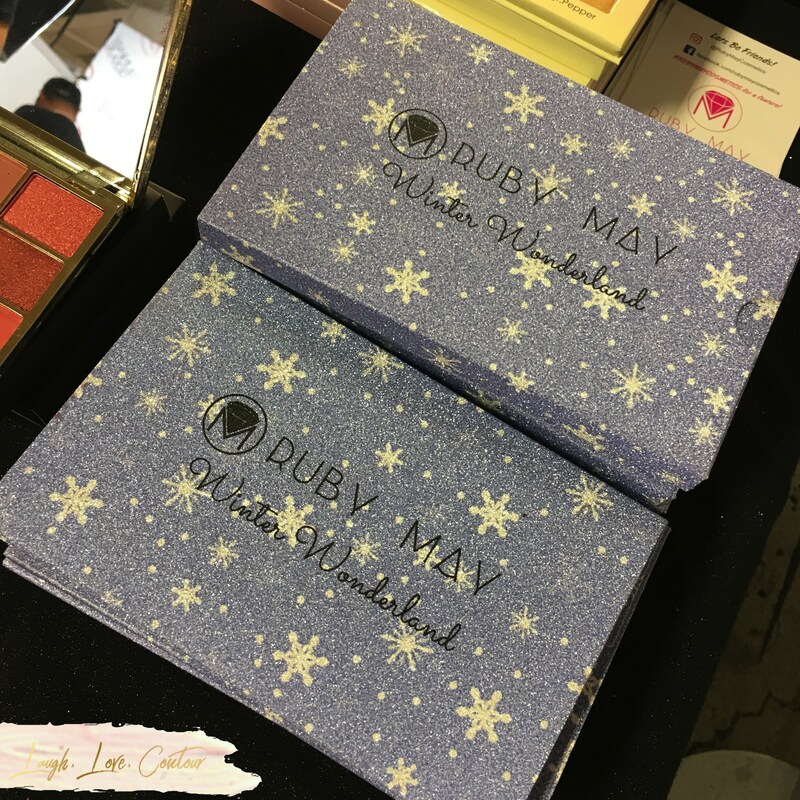 I love the packaging of ruby May! It's so pretty! I love it too! Looks like there were a lot of pretty things! There were so many pretty things to see, and lots of gorgeous people as well! It certainly was! Hopefully you could make it to a future show!